The Ortiflor Group is a company whose history is rooted in the entrepreneurial choice of its founder, Antonello Alessi. 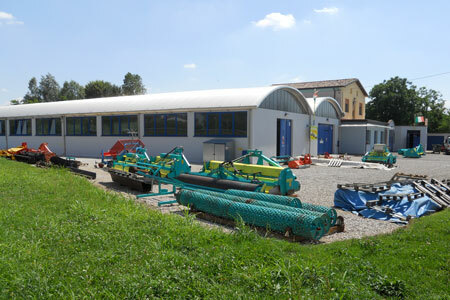 In 1997, spurred by innatapassione for mechanics and saw the ingenious creativity, probably inherited from his grandfather and father creators of the 'Plough voltaorecchio "and" fresara "(international patent 1960), designs and manufactures a machine tool capable of burying stones, clods, vegetation surface and prepare the seed bed clean and level. 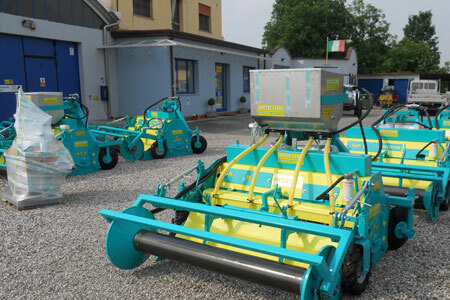 In 1999, the experimentation and testing of the product enabled the company to gain experience, specializing in the professional preparation of the soil in the field of horticulture, floriculture and nursery industry in the Italian market. In rapid rise has also been appreciated in France and Spain, thanks to 'innovation that creates baulature design made of different widths and working in a variety of conditions, running at the same time delicate work of great precision in a single step. In 2002 the 'Ortiflor Group acquires a sales manager, in the shape of Cristian Alessi, by which wins the Danish market. The constantly evolving its way into Germany. In subsequent years, the company based not only on concepts of quality and excellence but also on the skill and passion that the two brothers put us to meet the needs of customers, acquire new foreign markets, Brazil, United Arab Emirates, Honduras and many others. 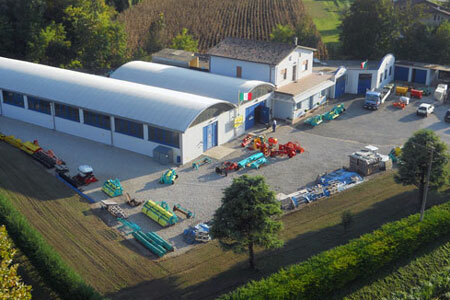 The strength has enabled the company over the years, to acquire a plant a few thousand square meters of property, developed in three departments: Carpentry, assembly and powder coating plant, thanks to which it can guarantee an accurate and fast delivery. A focus deserves the field trials and testing adjacent to the property. The objective of Ortiflor Group is to become and remain the first choice for its customers and future, confident that talent, ability, determination, courage and reliability are the key components for a successful company.